Golf ambassador Warren Clark has been recognised by Prime Minister Theresa May with a Points of Light Award. The daily awards are made to outstanding volunteers and Warren’s was timed to coincide with the Special Olympic World Games in Abu Dhabi, where he is currently representing Team GB in golf. 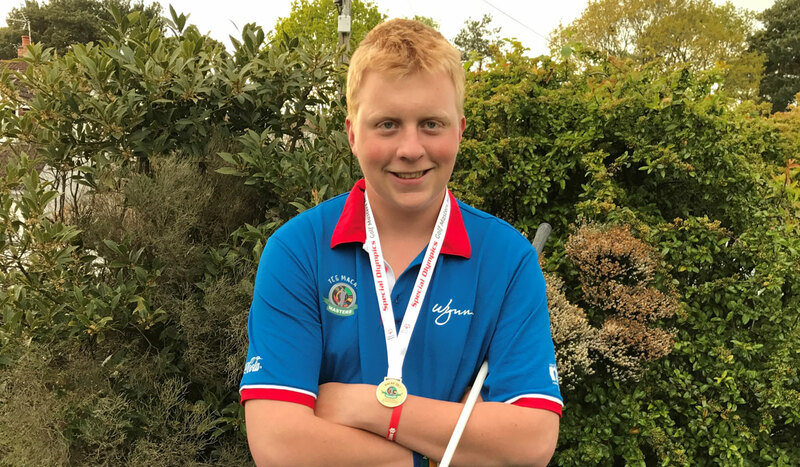 Warren, a leading advocate for disability sport who runs his own charity, is a Young Ambassador for England Golf and the Golf Foundation, helping to give the sport a fresh voice and change perceptions. The 18-year-old from Hampshire has autism and his own experience of golf inspired him to set up his charity, Warren Clarke Golfing Dreams, which has given free golf taster sessions to over 5000 disabled people. In a personal letter to Warren, published on the Points of Light website, the Prime Minister said: “The success of your foundation is testament to your passion for golf and your dedication to seeing more disabled people take up the sport. Warren is a past winner of the England Golf Young Volunteer of the Year Award. Points of Light was first established by President George H. W. Bush in 1990. UK Points of Light was developed in partnership with the US programme and launched in 2014.